During a period when Israel’s foes are taking advantage of increasing radicalism on college campuses and elsewhere, it is easy to panic or fall into despair as each news cycle brings more tales of terror for Israel and her supporters. But if there’s one thing that separates the effective from the ineffective warrior (political or otherwise), it’s the ability to skip over panic and get down to business. Yes, the news is indeed frightening (especially when your news feed has been customized to only deliver tales of your political enemies behaving badly). And factors such as such as how decisions get made in Tehran or the Kremlin (or the White House for that matter) are beyond the control of any activist or group of activists, no matter how talented. But the first rule of warfare is to understand what is in your control so you can make choices based on concrete reality, vs. wishful (or fear-driven) thinking. Working from the top, the general zeitgeist is that the election of a controversial American President has galvanized elements of the political Left to find common cause. While not a problem in and of itself (why shouldn’t political allies come together to fight a political foe? ), the tendency of the ruthless (whether Leninist or anti-Zionist) to rise to power within such coalitions means such groups are likely to turn against Israel – if not immediately, then eventually. The Right has also been doing coalition building and political agitation, of course. But since the most significant anti-Zionist agitation has been coming from SJP types and their intersectional allies, at least for now we must focus on the actual vs. potential enemy. Any good military will devote a subset of its energy to anticipating and planning for future threats. But doing so at the expense of winning the battle you’re currently fighting is folly. With that big picture in place, we must also keep in mind Tip O’Neill’s maxim that “All politics is local.” It’s easy to lose sight of this central truth in an era when a food coop boycott in Brooklyn makes international news, or a church divestment resolution triggers tweets from Detroit to Doha. But the reason why there was a boycott or divestment motion in that particular coop or church is because local anti-Israel activists within each community organized and sustained campaigns for them. This means that understanding the local situation takes top priority. 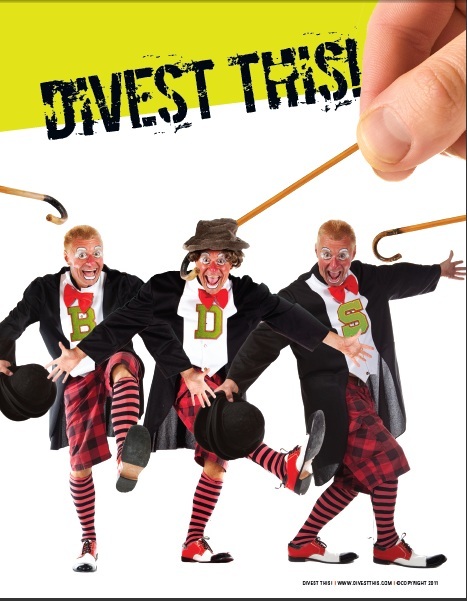 Is there a divestment row brewing at your school? Which groups are behind it? How many members do they have? Are those numbers real, or just boasts or Facebook joins? Most importantly – who leads the opposition and are they any good? By good, I mean, are they able to sustain coalitions or political activities for long periods of time, present a responsible face to those they are trying to convince (like unaffiliated students, administrators or reporters) and think and plan strategically? Or is there success driven primarily by aggression and charisma – both strong sources of power, but more limited ones than patience, empathy and a strategic mindset. Oh, and if the opposition has decent leadership, are they going to be around or are they about to go on exchange program next semester (in which case the next question should be who is in charge when they leave and how effective are they?). How much radical activity is really going on in your community? While partisans on both sides of the Right-Left divide have a stake in inflating the significance of such activity (either to condemn or celebrate it), it is your job to determine if that latest march or 20-page list of demands represents a genuine power play vs. a political stunt. What is the response of the rest of the community to the radicals? Are they supportive, hostile, indifferent? Fear of being condemned as racist, sexist or something-else-ist might make it difficult for community members to honestly express what they think. But time spent really listening to people other than allies and enemies can help you better evaluate honest community attitudes. Are there opportunities to cleave coalitions among our foes, or prevent them from forming? There is, after all, no requirement that every Left-leaning individual and organization must drop on their knees before the Palestine uber alles agenda. And there are various ways of making that known, from recruiting confident and vocal minorities and feminists to openly question the assumptions behind intersectional alliances, to creating your own coalitions to focus on providing genuine help (vs. just slogans) to the needy and oppressed. Most importantly, the successful warrior is a happy warrior able to project a spirit of confidence vs. fear and despair. Our enemy thrives on other people’s weakness, following Lenin’s maxim to probe with bayonets, advancing when they encounter mush and retreating when they meet steel. This means that no matter how overwhelmed you might feel at any given time, never let your foe see anything but impenetrable metal.